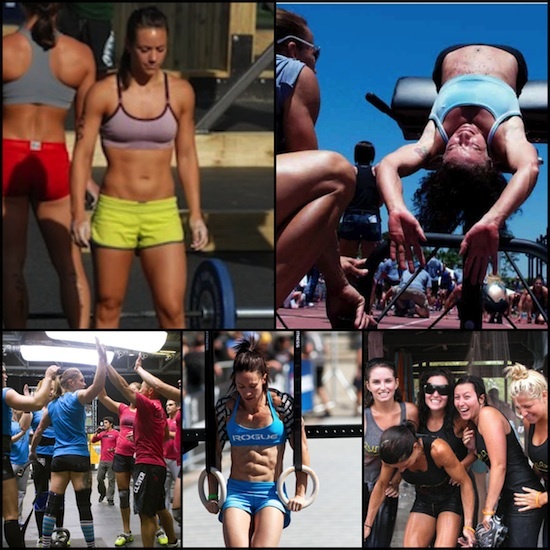 8 CrossFit Rules to Be Your Best! CrossFit rules to be your best! I usually write about CrossFit workouts that will help you get fitter faster, but I rarely write the great sense of community that CrossFit brings to my life. The CrossFit rules below is part of the community spirit from Ludington CrossFit, the box where I train at when I go back to my hometown, Ludington, MI. Even if you’re not a CrossFit athlete, these 8 life rules to live by. And, if any of you are looking for an amazing summer beach vacation, check out Ludington, MI. 1. Work Hard! Nothing less than trying your best will get you to the top, and we all want you to get there. 2. Support Others! Some people motivate with words, others by actions whatever your preferred method may be use it. This means cheering that last person on before you break down your bar and put it away. Help others succeed and you will too. 3. Check your ego at the door! When beating somebody becomes more important than bettering yourself, you’re off track. Keep in mind a big ego is self-defeating, and it will more often tell you that you can’t. 4. Be Humble! What you take away from the WOD everyday is yours, you own it and not everyone needs to know how awesome you are (even though we think so too). 5. Respect the Gym! It’s not much but its ours, and how we treat it reflects our character. If you use chalk and make a mess clean it up, writing on the mat is fine just write lightly and small make it easy for us to mop up. If your effort pours out of you and you leave it all over the equipment wipe it down. 6. Be self-aware! You know your body better than anyone and if something doesn’t feel right… STOP! Let one of us know and we will scale the workout accordingly (that’s why we’re here). Take rest days they are absolutely necessary and you will be stronger for having taken them. If you feel yourself plateauing and have not changed your diet talk to one of us about what you can be doing differently (fab abs are made in the kitchen). 7. Actively Listen! The best athletes are those who listen closely. This often means turning down that voice inside your head.